Mission Moments: Gawai is Over! Transfers, and a Baptism! Gawai is Over! 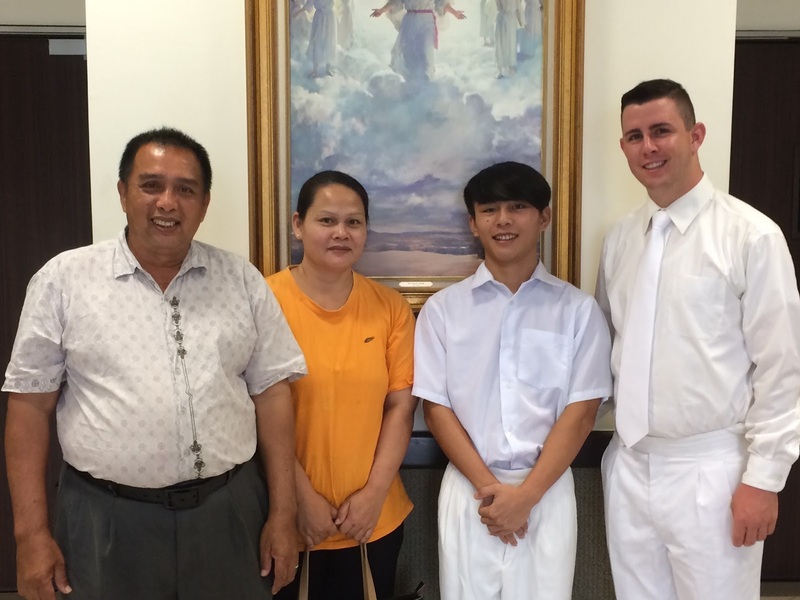 Transfers, and a Baptism! Gawai is over for another year. Unfortunately, we won't be here for the next one. We'll have to celebrate at home. 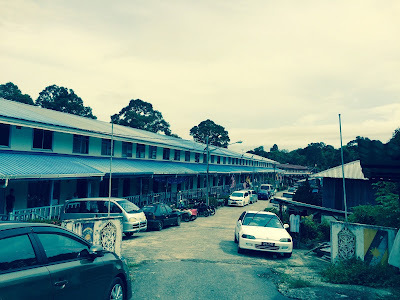 Monday morning we went out to Sister Minah's longhouse where here family lives. There are actually three longhouses here. We learned something new about longhouses. They don't finish either end in case the house needs to be enlarged. The ends are just covered with corrugated metal. 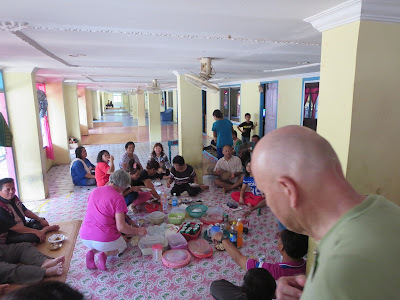 The homes are in the inside are well-kept and have furniture, at least the ones we visited. We were offered something to eat in every home. What was planned as a 45 minute visit became a couple of hours. But it was worth it. There is a hallway that connects the homes on the inside. 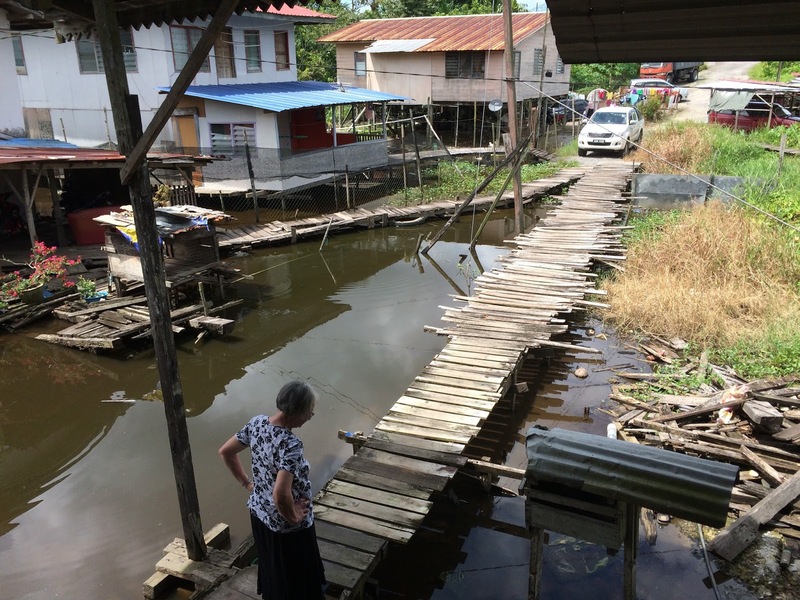 You can see how the end of this longhouse is unfinished. What would a long house be like without the trophies from years past? Beautiful bead work . . .
More bead work. Sister Minah's youngest sister does this tedious, but beautiful work. Each family has their own "tapestry" displayed during Gawai. Sister Minah explaining her tapestry. The bamboo shoots represent the men in the family. I'm not quite sure what this is, but it was light and airy. I've forgotten what these are called, but I've seen them in the states. The batter is placed on a metal design, then deep fried. This party started at one end of the longhouse and moved to the other end. Each time it stopped, music would be played and food would be served. Sister Bodell NOT trying the the locally produced beverage . . . rice wine. One whiff and she said, "No, thank-you. Tidak boleh!" The lady offering her the rice wine was fairly persistent, but Sister Minah came to Sister Bodell's rescue. The rhythm of the percussive sounds of the Iban traditional instruments and music made Sister Bodell spontaneously break into dance. 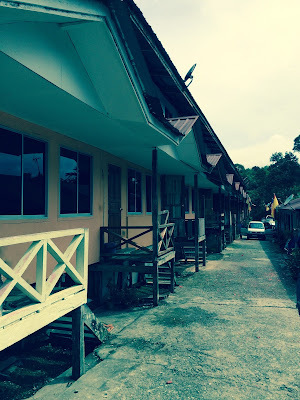 Learning about Gawai and the Iban culture has proved to be very enlightening. This holiday is similar to Christmas break. There are two days of actual holiday, but it continues for two weeks. It's a time for family and friends. Tuesday was district meeting. It was short and sweet because there was much to do for everyone to get ready for transfers. We went to dinner that evening with the other two senior couples, the Tedrows and the Mills, to Aussie Story, a wonderful little restaurant the serves more Western style food. It plays American music such at the Carpenters. It was a very relaxing, enjoyable evening. 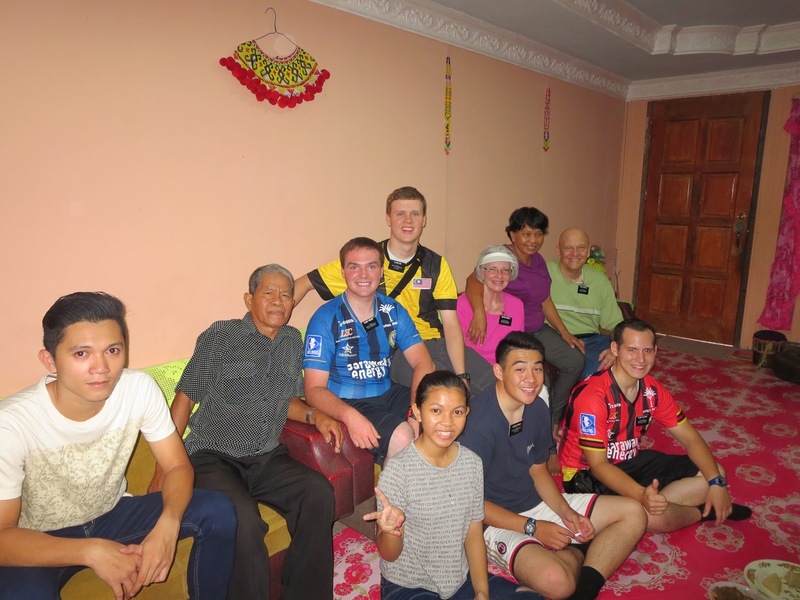 The next morning the Tedrows were on their way to the mission office for several months to serve as the financial couple. The couple their now has to cut their mission short due to family issues back home. We will miss the Tedrows! It's only temporary . . . hopefully, until they are replaced. Wednesday was transfer day. I played taxi starting at 8:00 AM and going to later in the afternoon. 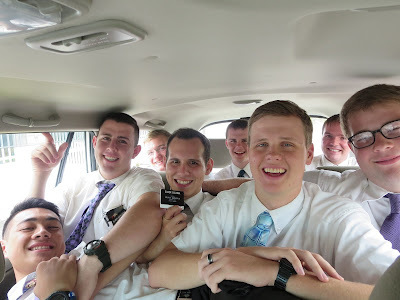 I only had to make one trip to the airport, but we were there for about an hour dropping off Elder G for his transfer. We had to wait about an hour for Elders H and S to arrive. I made some several trips to the bus depot and missionary apartments to pick up and deliver as well. It was good-bye to Elders G and V, and hello to Elders S, H, and O. 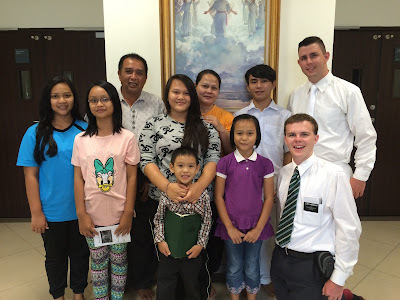 Elder H is in Sibu Jaya. Wednesday night we went out to Rantau Panjang with Elders C, M, C, and O for Family Home Evening and dinner with President Gara and his family. It turned out to be a very enjoyable evening as well and the food, as always, was sedap, especially the sauce on the chicken. It was like a sweet and sour barbecue sauce. Very yummy! Saturday was a special day for our friend Randy. He was baptized by Elder P. He was confirmed a member of the Church on Sunday by his Uncle Merang. Randy is a great young man. He reads the Book of Mormon everyday. 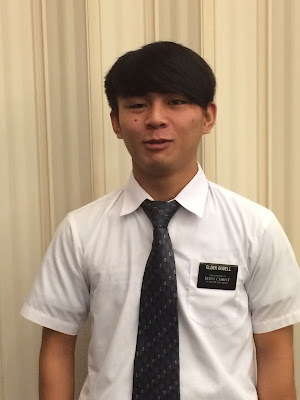 He's my man for tutoring in Malay. He's very patient and fortunately has a great sense of humor. 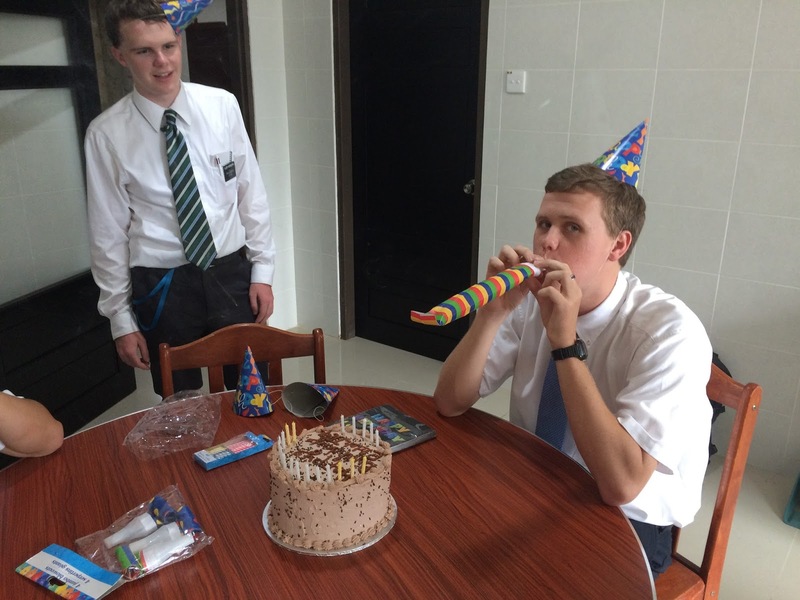 Someday Randy will make an excellent missionary! This weekend included a visit to another investigator family. This was our first visit to their place. We went with the young missionaries (all six of them). We didn't stay for dinner because we had several other things we had to do. However, the walkway to their house is fascinating! Yes, more sturdy than it looks! 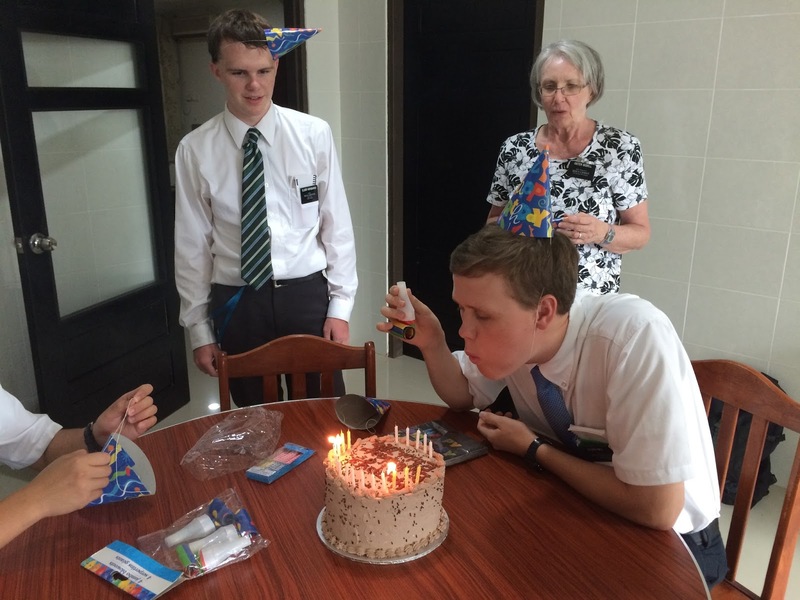 Sister Bodell baked and decorated a cake for Elder M. His mother had sent candles, noise makers, and hats. Only took three blows to get all the candles out! Next week is Zone Meeting. The ZLs have a great meeting ready. We're helping them with a Keynote presentation and another video. We can't finish the Keynote or video until the morning of Zone Meeting. Let's hope we can get it done. o much going on. It's an amazing experience for you and me, vicariously.